How Important Are Witnesses In Truck Accident Cases? Witnesses are always important. If not for testimony, then for the lawyer to become familiar with that person’s perspective of the occurrence. How Important Are Accident Reconstructionists In Trucking Accident Cases? Reconstructionists are critical. The reconstruction exposes potential reasons for the accident. Missouri requires accident reconstruction whenever there’s a trucking accident that causes severe injuries or death. What Is The Timeframe To File A Trucking Accident Lawsuit In Missouri? Five years is the standard statute of limitation in personal injury cases such as these. Who Are All The Possible Liable Parties Involved in a Trucking Accident? The insurance Carrier, the trucking company, the trucking carrier umbrella policy, the driver are all potentially liable. Can I Also Sue The Driver Of The Vehicle Separately? Yes, as in all cases the responsible party is always subject to liability. What Are The Biggest Challenges Someone Can face In a Trucking Accident Case? The magnitude of the job is the biggest hurdle. These often involved serious or deadly injuries. Getting all the information immediately and scouring that information to make the best presentation for your client whether to the insurance company or to the jury. These are the type of cases that require diligence and focus in that they are not the typical accidents. What If The Insurance Company Makes Me A Settlement offer? Do I Have To Take It? Never! As with all cases you have the right to pursue your damages that are caused by the negligence of another. There is nothing mandatory from the insurance company that will cut off your right to a trial by jury. What Rights Do I Have As A Spouse Of Someone Who Has Been Killed In A Trucking Accident? Spouses have rights under the Missouri Wrongful Death laws. In addition, the spouse is entitled to bring a suit as well for “Loss of Consortium (Comfort, and society of spouse), as well as other potential claims. One perspective that is often overlooked in these cases is the loss of the victim’s earning capacity. Over the years the spouse could have earned an enormous amount but now that’s taken away. You have a right to claim it. This is often done with a vocational economics expert. Why Should I Hire An Experienced Attorney To Handle My Trucking Accident Claim? The complexity of a trucking case is in fact complete. There’s nothing simple about it. It’s not a job for a lay-person or grieving relative. An experienced attorney will know how to assist you in getting the rights of the injured party vindicated in court. We have that level of experience and the passion to get the job done well. For more information on Importance Of Witnesses In Truck Accident, a free initial consultation is your next best step. Get the information and legal answers you are seeking by calling (314) 786-3536 today. How Common Are Auto Accident Cases Involving Trucks? 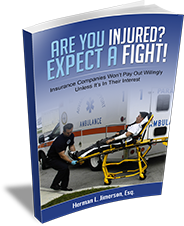 Home > Personal Injury > How Important Are Witnesses In Truck Accident Cases?